Dec. 20, 2016 | 2:30 p.m. The Japanese beetle is increasingly making its presence felt in Wisconsin. Ask any gardener or landscaper in the Midwest what their least favorite insect is, and the Japanese beetle (Popillia japonica) will probably be near the top of the list. This insect feeds on ornamental trees and shrubs like lindens, birches, crabapples, and roses: fruit crops like apples, pears, plums, raspberries, and strawberries; and garden and vegetable crops like beans and corn, as well as hundreds of other plants. No wonder gardeners have to be on alert for this insect. So why the resurgence of Japanese beetle activity in 2016? Before the winter of 2015-16 had even ended, there was good reason to believe that the Japanese beetle would pop back up in Wisconsin by year's end — and Mother Nature may have been the cause. Japanese beetle larvae (white grubs) spend winter in the soil below ground. In July, August and September, these grubs can be found in the upper portion of the soil where they feed on the roots of turfgrass. As winter approaches, the grubs tunnel deeper into the soil to avoid being killed by a hard freeze. 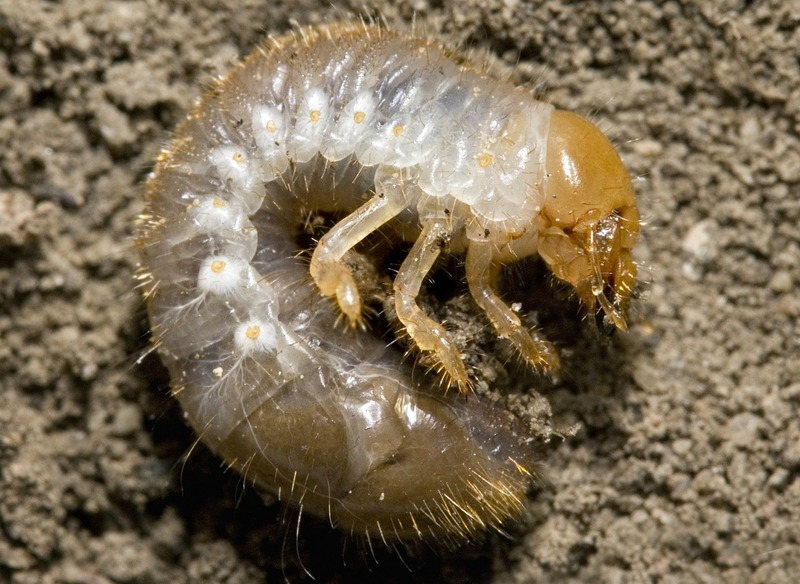 Japanese beetle larvae are also called "white grubs." Most parts of Wisconsin had a reprieve from Japanese beetles the past two years, likely due to the brutal winter of 2013-14 and its extended periods of sub-zero temperatures. It's quite feasible that this deep frost killed many grubs and led to lower adult populations the summer of 2014. Given enough time, though, Japanese beetle populations were destined to rebound at some point, and the mild, El Niño-related conditions over the winter of 2015-16 might have been just what they needed to rebound. And without another brutal winter in the next few years, Japanese beetle numbers likely will be up for the foreseeable future in Wisconsin. Ironically, there's an important milestone to recognize for this invasive pest: The Japanese beetle was detected for the first time in New Jersey 100 years ago, in 1916. Slowly but surely, this insect spread through many parts of the eastern U.S. and has been spotted on occasion in isolated spots in the western states. 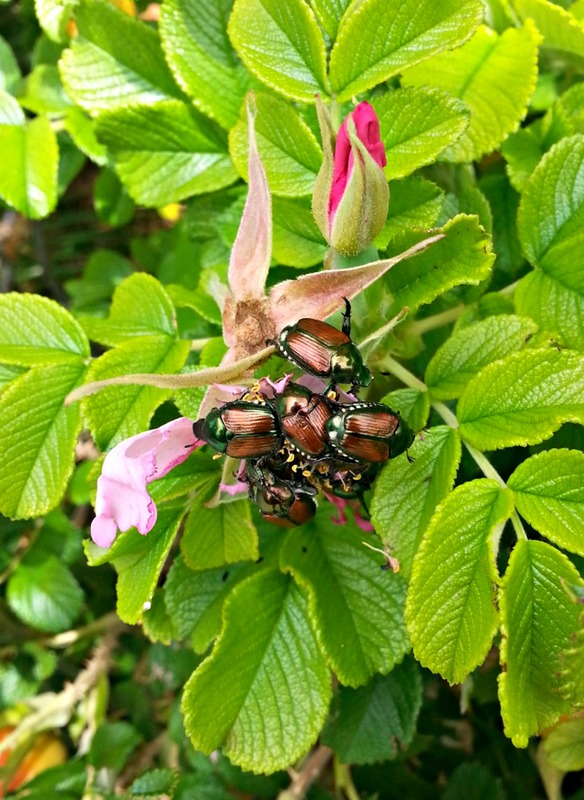 Japanese beetles are a growing nuisance to gardeners. The history of Japanese beetles in Wisconsin is also interesting. Technically, the first detections occurred in the southeast part of the state in the 1960s, although these populations struggled to take hold. At the time, this difficulty seemed to be a comforting sign: Perhaps Wisconsin's famed "frozen tundra" was simply too cold for them. However, by the 1990s, Japanese beetles gained a solid foothold in the state and they’ve been around, much to the chagrin of gardeners ever since. University of Wisconsin-Extension entomologist PJ Liesch is director of the UW-Madison Insect Diagnostic Lab, and he blogs about Wisconsin insects and can be found @WiBugGuy on Twitter.